A discount super-market is worth it’s weight in pasta penne. We’ve been spending up big lately on trips away and parties and it’s time (past time actually) to start tightening our belts. So it’s off to Aldi for our weekly shop. We’ve a freezer full of meat and a box of fruit so this minimized our shopping needs – thank goodness. The best part about not shopping at Aldi for a while is when we go back there we are gobsmacked afresh. Three capsicums for $1.59; a tin of diced tomatoes for $75c: 1kg of spaghetti pasta for $1.15. 500g pasta sauce for $1.39. At a pinch, we can produce a simple meal with the spaghetti and pasta sauce for a princely $2.54! 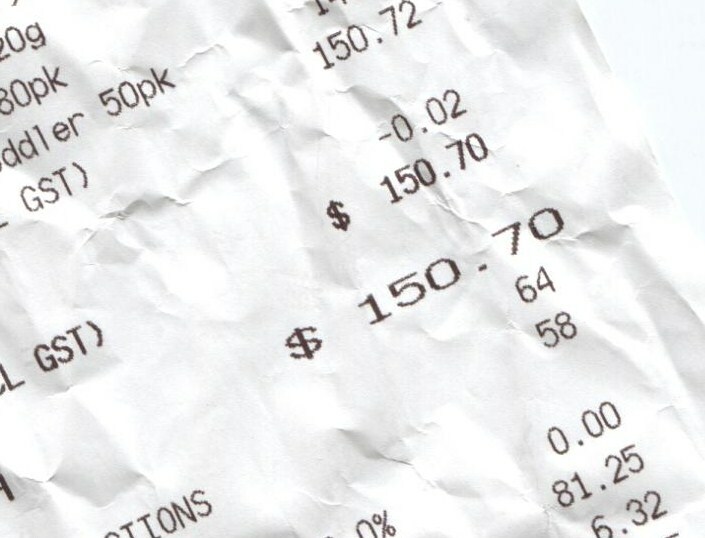 Our grocery bill came to a mere $151 today, yet included treats like a salami knob and a vintage cheddar, nappies and wipes, dog food and batteries, and 10 frozen meals for my work lunches. 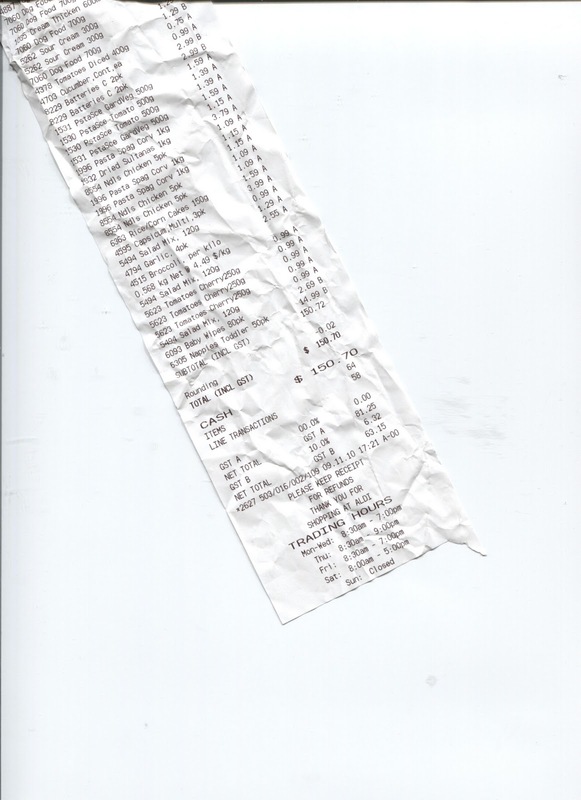 The same shopping list at one of the big two supermarkets would have been about a hundred more. Sure, we were underwhelmed for choice, but then some weeks need to be about feeding the hungry hoards, not adding colour to the pantry.